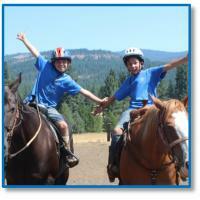 Horses Unlimited, Inc. is a 501(c)(3) organization providing therapeutic horseback riding to individuals from Lassen, Sierra and Plumas Counties. We are celebrating our 25th year of service to the community. 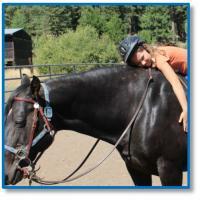 Horses Unlimited, Inc. is a member of the Professional Association of Therapeutic Horsemanship International or (PATH International). 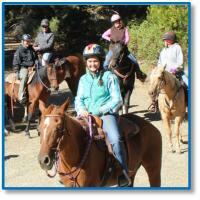 All our instructors are PATH Intl./NARHA certified and assisted by trained volunteers. To learn more about our organization visit the "About Us" page or complete our "Contact Form" if you have additional questions.